He was an addict, a loser, a despicable human being. I will not hold back this time. The emotions and characters are interesting. Can't wait for more. I felt like I was on an emotional roller coaster. I feel like this is the best redemption and one of the best character growth novels. It's probably one of my favorite Korean novels now too, haha. I read 78 chapters in one go (just shows how awesome it is) while listening to Sekai no Owari's LOVE SONG. I feel like the song overall matches the novel really well. After reading almost every Korean novel registered on NU, I have to say this is one of the best. Who cares about reviews, anyone thinking about reading this, you'll get hooked by the first chapter. went to visit his brother and sister. I was expecting at least a little bit of forgiveness like it in other novels, but the anger and emotion in that chapter was, thinking about it, so raw and realistic. This novel deserves way more attention. This review was made after finishing the latest chapter (c35) available at the time. Basically, most of his ability's functionality serves as merely a warning bell to varying degrees; i.e. It tells him on a scale of 1-10 how 'bad' or how 'good' a situation is and you must invest massive resources and potentially training to unlock another tier. The problem with this is, if you know a situation is 'bad', it doesn't do you much more good to be able to differentiate whether it's 'bad', 'really bad', or 'terribly bad' - all of these outcomes are unfavorable and should be avoided! The scope is dimmed with this particular enactment and I feel that it was poorly carried out. The caveat in this situation is that the skill does have a lot of potential and it could potentially be redeemed in the future, we will just have to wait and see. It is frustrating to see MC invest so much time and effort to -upgrade- his innate ability only to read on in disappointment on how the evolution and development of the skill is carried out. I'm currently rating this at a solid 5/5 stars, however that may change later on. Although the novel had a strong start, I could easily see it devolving into the ranks of the countless riff-raff gutter trash that you can easily find strewn about on this site. 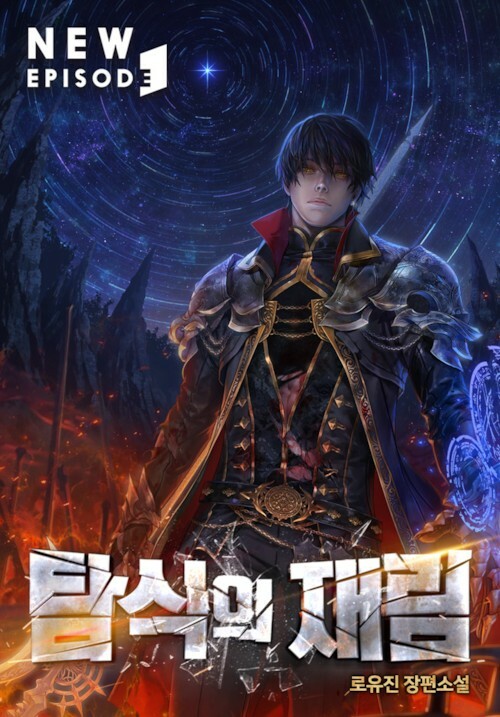 Reading the latter chapters past the introduction I can see the novel falling into many of the same trappings as other Korean novels; namely, the focus on class templates and mechanics (tanks, healers, dps, mage, etc.). It lends nothing to the story other than being an annoying reminder of how Korean writers just can't get out of a certain mold of thinking where they just have to implement a restricted class system. Why? Because everyone else does it, of course, on top of the fact that Koreans love their grind-fest cookie-cutter MMOs (please spare me). Japanese novels have the same issues with their Adventurer Guild systems (which are equally annoying, by the way). Adventurer guilds are an issue precisely because they deter from the fact that adventurers are supposed to be free and uninhibited, fantasy and exploration should be the rule here, not bureaucracy and rigid structure hiearchies. For much the same reason, the korean MMO class system adherence detracts from the fluidity and freeform styling that you would come to expect from a adventure fantasy/isekai. I don't feel that the Synopsis accurately reflects the content or quality of the novel. At the very least, the first 56 chapters are well-written and solidly translated. Character wise, The MC starts off as a piece of trash. This might be pretty off-putting to some people but in a way, this is a story of redemption where our MC uses the vague memories and feelings of bitterness to improve himself as a person and try to right the wrongs of his past. There is a wierd dynamic where this is... more>> an "Isekai" but you also have segments in the modern world. (Ch.56, 12/29/18) Hello, I started reading this just yesterday, as I was caught up with The Novel's Extra and saw this was recommended on the TNE page. I skimmed some reviews and jumped right into the reading, and boy was I glad I did. It's true that the MC does have a sucky personality at first, but similar to the other reviews, you really only need to get past the first few chapters for things to start looking up. Translation quality is top-notch, and very consistent. Story is constantly... more>> moving forward with the MC's character development and the plot, in general, very captivating. Yes, it's currently on an indefinite hiatus due to it's unpopularity + the long lengths of the chapters, but I'm hoping it'll either be picked up, or this slew of accurately 5-star reviews will help up the popularity and re-motivate the translator. Read on with no doubts, I honestly really like it. It is simple yet profound. Not overly descriptive, at the same time delivering all the necessary information and more. The plot: MC died on a battlefield in the future, he makes a wish to a God to return back to the past. His wish is denied, because only his emotions at the time could be sent back to the past him. That's where the story start, the MC is a son of a..... basta** who is living in modern Korea. He's an... more>> addicted gambler and took advantage of his family to get money. Then one day, a woman comes to him, offering him the opportunity to travel to another world in exchange for something (more complicated than this). The story kicks up as he's entering "mission worlds" where he has to complete some objectives (at least that's what the tutorial is about). Wow.. just wow.. this novel just didn't stop in bringing surprises. A novel That actually deserves 5 Stars.. It's mature in the sense that.. it feels like it's written by an actual adult... Like the author doesn't hold back experiences or insights about what's interesting to see..
... more>> It's like.. a merit of it's own. A work of art that really encompasses all aspects of human being within this world... And not in a compulsive way. But.. It felt like if I was reading the work of a human being.. In a long time. The start it's cringe.. but it adds a level of realness.. like it's definer worthy and after reading ahead.. I can say the writing is honest. Just. Wow. Totally worth it thank you translator for reminding me what a real personal style feels like..
For me.. I think the big merit of this work is aesthetic. Secondarily is just.. adding to watch..
Like.. the story progresses but I don't really care about pacing.. I just care to continue experiencing.. In being honest when I say I can experience it.. it's only 59 chapters but somehow im like satisfied..?.. like.. I can sleep sound and know tomorrow or whatever day.. this novel is going to progress.. hehe I don't know.. Just my first time experiencing this.. Even it looks like the translation is alive (I mean it continues wich is veeryy good)... wow... How could this bee? I feel lucky being able to read this.. This novel is not something that blows my mind.. it's like.. this little kitten that somehow.. manages to earn my respect.. sure I can think of snob words to make my review but.. is like it deserves a different way of addressing it. This Novel dia things different. Not extremely different but just enough too... Be like radically different.. when all things combine.. and in a good way. It's like the little differences are truthful and consistent. Wich then over the passing of time.. Are honored and become something unique. Wich then continuously add up to something extremely precious and valuable. This novel. It reminds me of some quirk writer having fun doing it.. like in glances like honestly he's doing things right. Even if he's not perfect or whatever for sure he's more than a worthy artist. Unfortunately the series has went on a hiatus which is unfortunately considering that out of hundreds of novels that I read, This series definitely has one of the best Character Development. There has only been 56 chapters since the release of this review therefore most of that character development only occurs with the Protagonist. Nevertheless, The Realistic and harsh surreal feeling made it felt genuine, it brought the viewers ground to earth with how the protagonist felt during those moments. The Novel has few slight annoying problems yet even that... more>> only dim the overall enjoyment by a minuscule amount. I'll quickly Address the few problems before going in a extraordinary detail of the Pivotal entertainment, The Character Development. Some of the Throwaway villains are what they seem, simple generic thugs that the only exists as a mere annoyance. They never become to the extent that they exist only to showcase the glory of the protagonist. Rather they exist to serve as a lesson, a experience into understanding more of what the world may offer. However their character felt so bland and simple that the two time that it occur, It simply eluded a irritating feeling to those who read it. The mechanics of the combat system isn't unique to say the very least. You have four main class with the former being able to branch out into more specializes class. There's no unique class for the Protagonist nor anyone else. The power system nor any sort of information about the combative system is said. As a writer, He/she should never compiled the system into a brief section which is called a info dump onto the readers at the early stage. Doing so will drain the interest of the readers and they should instead slowly reveal bits early on until later on when the interest of the readers is hook will the readers remember the information. However there has been little indication of any sort besides the basic information one can expect. I do hope that the Author goes into more depth about a unique atmospheric of a system since it does play a huge part. Having a novel in a potential huge world building novel, with simple battle mechanics, for a made up example, "Archer Strong Against Mage, Warrior Strong against Archer, Warrior Weak Against Mage." Is a very dull and boring concept. However As the Protagonist abilities are unique solely to him, so If the series one day gets translated again then will we see more of the diversity through said such. So I remain very hopeful that the author will be able to managed well, and allow the battles to flow erratically through the diverse abilities from characters. And now the Character development of this novel which in part is the pivotal entertainment of this novel. The introduction for the series was quite impressive for a webnovel, how it showcase the past of the protagonist, his downfall, and how he once driven into a addiction that he grew mad. During the prologue, You'll understand that his memories and emotion was transported back from the sacrifice of others. Those emotions play a part, For at first he questions the integrity of it however when memories repeated itself, he decided to trust it during at the most imperative moment. But one emotion allowed him to crawl out of the pithole of his previous self, to carve a new identity and become a new man. It was Regret, Regret and shameful of his previous self and from his past life that it drove him to become someone different. The realization of his error, How pathetic he was, For those who live a treacherous life filled with the most accursed moments. You would yourself know that the problems you have at times cannot be sought out by yourself. To awake from a addiction whether its gambling, alcohol, or drugs, is a near impossible achievement. It's only when those people learn or beaten into does something from someone that they awaken from their stupidity. They may even know the consequences but to awaken from that addiction, is a war that few can achieve alone. That is why when he started to develop himself, it was worth something to cheer for. He work hard, During Basic training and during neutral zone, he became a man worthy of respect. Most of the events during these time mostly serve as a experience to mature himself in the real world. Those experience became his teacher and along with the instructor to improve his physical strength and perseverance. Upon entering the New World, while still young and inexperience, he became a character that we know will become someone we can truly respect. So what happens afterward upon completing the Neutral zone and coming back home was a surprisingly take. What I had formerly describe, I imagine most of those who are reading this review, has read a novel that illustrate someone becoming a better man or simply claiming glory when they had no opportunity for such. But most of the time in those novels, the family who ousted the Protagonist, They welcome him or attempts to eliminate him. From there the progression with the family for the protagonist can go either way. However it usual goes in depth of a experience which we cannot relate too. There's definitely examples in our history that one person gets ousted then comes back and destroy the family lineage. Or The family accepts him and they allowed him to succeed again with him later on becoming the family head. However to any of you reading this, I definitely have all my doubts that you are currently experiencing something similar where your family is trying to kill you. So that's why when he came back, And visited his family along with his previous girlfriend, he hadn't met one of those event we imagine. He came back from his better self from years ago, back to his own world with a very potential successful future. He search his history of the damages he cause, the financial liability he made but that hadn't matter at all. Even If he were to become the most richest man in the world, The scar that was left behind could never be heal. The pain never came financially, They loved him but he chose a destructive life. All those scars and mental pain he made, He'll become a better man but they will never amend. His previous girlfriend, it was a relationship that most people could only dream or desire in their vision. Yet after years even that couldn't hold on forever. The relationship broke, And when he returned to visited her as a new grown man, the most that she could told him was to stay friend. They couldn't return to the times when they were in love, they may hold feeling but now a chasm lay between them. This was why when I read this part, I truly appreciated this novel. It was grounded into something we can relate too, Perhaps not to his extent but the bitter feeling of wanting to go back to one another yet it laying as a mere thought. Story seems planned out to be an OP MC fighting and winning against the dark forces with his co-star harem and one dimensional side characters. I will acknowledge that the beginning 14 or so chapters introduced a well-used premise in an interesting new way, but the story's development is clearly straying from that original path. This could be the fault of the translator, but all the characters ignore the character traits they were introduced with and revert to a happy-go-lucky personality around the MC. It's very difficult for me to engage with... more>> the struggles of those around the MC when their very real struggles disappear like smoke thanks to the help of the omnipotent MC who also has his own flaws completely fixed by chapter 38 and thus becomes a very generic MC. I hope this gets picked up again soon by a good translator course this instantly became one of my personal favorite novels in the genre. Its especially a cool take on the "second chance" troupe. Quite an interesting story but we're basically still at the prologue/tutorial since he hasn't even gone over to the fantasy world yet. I feel like he needs to learn more about his ability. He's kind of just winging it for now with his incomplete memories. This is a great story, gambling addict that becomes a warrior. Good character development and plot, I feel that the pacing is good and there are lots of clever things still coming. I hope this series continues to be translated, it has been done pretty well. I've been reading novels for many years already, found many hidden gems and over-rated craps, saw some newbie praising or denouncing a novel with his lacking experience, data base, and IQ. But what I can say is that this thing right here! Is a start of a new legend! This novel is a rising star. Just like how "warlock of the magus world" tops my AI novels, "reaincarnated as a slime" starts my isekai mayhem, and "overlord" dominates my op protagonist, This novel's potential makes my thirst and passion for novels... more>> aflame!! It is a very nice novel with a very nice setting and story is moving in very natural manner. I really hope that translations of this novel speed up. It is like a gem in hiding. Thank you Mr. Transalator for doing such a good job. Now I will like be always waiting for new releases. As a long time lurker on this site, I happened to stumble upon this novel very recently, and I am so fortunate to have run into this novel. This novel deserves 5 stars. Plan and simple. The characters in this novel are incredibly diverse. The... more>> diversity brings a sense of realism and culture to each chapter and arcs of the story. The environments of each area that the protagonist is in sets a tone for the story at that point in time, which is something that you don't find often in these types of novels. The fighting, stats, and magic is explained enough to keep the reader actively engaged in each character. Up to ch 43 this is a story about a despicable human being and his attempts at redemption. Unlike other novels where the surrounding characters says the main character is trash or garbage (at cultivation or just being human in general) for the sake of a low starting point for the author to rapidly inflate, here the readers actually can feel how much of a human scum the main character really is and be disgusted at him. I even depised him at the start. And by becoming stronger in another world and... more>> having a few potential romantic interests noticing him doesn't automatically gets him get-out-of-jail-free card of his past trashiness. And that's what I love about this novel. I'll try to be vague to avoid spoillers but where I'm up to, the main character Seol is still trying to overcome his broken lifestyle for the past 3-4 years that had hurt many around him including himself. The author isn't forgiving enough to let things to be done and dusted and makes Seol confront his sh*tty life choices even after he gets a pat on the back from some powerful people in another world. And Seol himself is aware of this, he doesn't expect forgiveness and understands he don't deserve it but he just wants those he cares about to hurt no longer. This is a brilliant novel. It's a true emotional rollercoaster. You feel the main character's struggles, his doubts, and you really sympathize with him, as well as the ones who don't forgive him. The action is fantastic as well, and the adventure is only getting started. 10/10 would recommend. I love this novel! I truly think its a hidden gem. If I were to find it in a bookstore, I would definitely buy it. Compared to most web novels I feel like the characters actually have depth, and the combat has a much more realistic feel rather than fantastical magical [email protected]$es plowing through huge monsters as if they were butter. Real combat is messy, and huge monsters would be creatures of horror and mass murder, I like that the author acknowledges that. I hope someone picks this back up,... more>> Its definitely worth a read.